Digby serves as Non-Executive Chairman of Triumph Motorcycles Ltd, On Logistics Ltd, Celixir Ltd, Thatcher’s Cider Ltd and G-Labs Ltd. He is Non-Executive Deputy Chairman of the Unipart Expert Practices (UEP) Division and chairs the Advisory Board of Argentex LLP. He is a Non-Executive Director of URICA Ltd and Leicester Tigers plc. He is Senior Adviser to Harvey Nash plc and Babcock International Group plc. He is Corporate Ambassador to Aon Risk Solutions, Jaguar Cars and Ravenscroft Stockbroking. Digby is also Chairman of the Governors of Stratford Upon Avon College. He sits in the House of Lords as a non-aligned Crossbench peer. Born in Birmingham on 28th October 1955, he began his schooldays (1960-1966) at Alvechurch Primary School Birmingham, before winning a major scholarship to Bromsgrove School which he attended between 1966 and 1974. He gained an Upper Second Class Honours Degree in Law at University College London in 1977. Digby was awarded a University Cadetship in the Royal Navy and served between 1974 and 1977. Hethen took articles with the Birmingham Corporate Law Firm Edge and Ellison in 1978. He was admitted as a Solicitor in 1980. Digby made Partner at Edge and Ellison in 1984 and it was in Corporate Finance and Client Development that he made his name. He was responsible for developing the Firm’s London presence and establishing its representation in many European countries and several states in America. 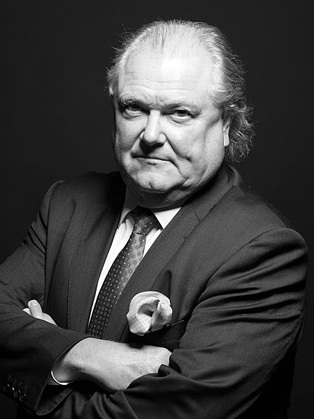 He was involved in most of the major management buy-outs and merger and acquisition activity in the West Midlands in the late 1980’s and early 1990’s. He was made Deputy Senior Partner in 1990, becoming the Firm’s Senior Partner in 1995. Digby served as Director-General of the CBI, the Confederation of British Industry, the UK’s ‘Voice of Business’, from 1 January 2000 to 30 June 2006. During his appointment, he regularly visited businesses in the UK and worldwide, understanding the different issues of business and feeding them in to those who make the rules, acting as the conduit between business and rule makers. He also took the British business message to 70 different countries, internationalising the organisation and opening CBI offices in Brussels, Washington DC and Beijing. Being regularly seen, heard and read in the media, he became known as one of the most effective lobbyists in the Country. From 2007 to 2008 Digby served as the UK’s Minister of State for Trade & Investment and is still the only UK Minister not to belong to the Party of Government. He made 45 overseas visits, travelling to 31 different countries and meeting with the world’s top business leaders and politicians. He changed the way that UK Trade & Investment was perceived, delivering a record year for inward investment and expanding the UK’s presence in all of the major international markets. He was UK Speaker of the Year in 2008 and in 2014 Digby received the EVCOM Fellowship Award for Services to the Communications and Marketing Sector. 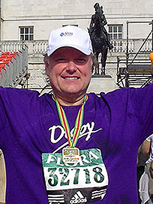 Digby is an Ambassador for Cancer Research UK and is Vice-President of Birmingham Hospice. He is Patronof The Campaign for Learning, Every Child a Reader, The Royal Navy and Royal Marines Charity and F1 in Schools. He is a Patron of the City of Birmingham Symphony Orchestra, The Royal Shakespeare Company and The Guernsey Community Foundation. Digby is a Guardian of The Birmingham Assay Office, a Member of the Bromsgrove School Foundation Board, Honorary Vice Patron of the National Museum of the Royal Navy, a Member of The Reform Club and a Freeman of The City of London. 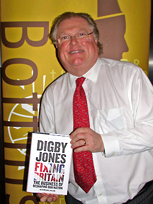 Digby appears regularly on television, radio and in the newspapers, being known for his firm views on numerous aspects of life in a globalised economy. He is an active public speaker at events and engagements all over the world. He won the BBC's ‘Celebrity Mastermind’ in 2010 and in 2014 he presented the BBC TV series, ‘The New Troubleshooter’.